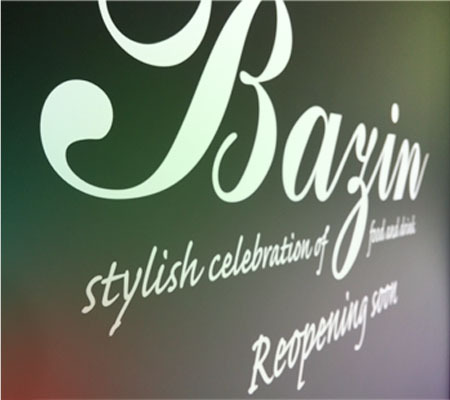 Bazin, Bistro & Bar – A great place to watch the world go by and enjoy the breathtaking view of Marina Bay and the Singapore Skyline. We house a combination of beverage selection with international representation of food, classically associated with the drinking culture. While you are relaxing, enjoy the signature cocktails, icy draught beers with selections from Guinness, Strongbow, Kilkenny, Erdinger, Heineken or Tiger or sip a glass of wine from our frequently changing wine programme. Choose from our distinctive menus with bold flavours, simple yet elegant in presentation emphasizing on the freshness and wholesomeness of the food. Come and visit us at 2 Bayfront Avenue, 01-84 The Shoppes at Marina Bay Sands. 2019 © COPYRIGHT OF BAZIN GROUP PTE LTD. ALL RIGHTS RESERVED.